Near the end of the list of ‘idols’1 which Bacon said must be ‘abjured and renounced’ were any systems of natural philosophy which were built on Genesis 1, Job, or any other part of the Bible.2 This wilful and untrue presupposition, that the Bible has nothing to teach us about understanding the workings of nature, is the ugly root which has influenced some of the greatest scientific minds from Bacon onwards. Secular scientists are nearly unanimous in their belief that, given enough time, they will eventually be able to explain all the mysteries of the universe, and will be able to fix most, if not all, the great problems which plague the human condition. This faith in scientific knowledge as the ultimate arbiter of truth, answerable to nothing but itself, is held by the greater part of our modern world. Many historians, representing a wide range of religious convictions ranging from Christianity to atheism, point out that the historical basis of modern science depended on the assumption that the universe was made by a rational Creator. An orderly universe makes perfect sense only if it were made by an orderly Creator (cf. 1 Corinthians 14:331). But if atheism or polytheism is true, then there is no way to deduce from these belief systems that the universe is (or should be) orderly. Genesis 1:28 gives us permission to investigate creation, unlike say animism or pantheism which teach that the creation itself is divine. And since God is sovereign, He was free to create as He pleased. So where the Bible is silent, the only way to find out how His creation works is to experiment, rather than to rely on man-made philosophies, as did the ancient Greeks. ‘For God is not a God of disorder, but of peace.’ Return to text. Carroll, V., and Shiflett, D., Christianity on Trial: Arguments Against Anti-Religious Bigotry, ch. 3, Encounter Books, 2001. Return to text. Bacon is sometimes regarded as a devout man of faith. He referred, as do many believers today, to the ‘two books’ of God; His Word and His works. Also, he claimed that it is possible to hold at the same time faith in God and the Bible for matters of the spirit and soul, and faith in science for matters of this physical world. The difficulty with this position is that the Bible has got a whole lot to say about how this world came to be, how it will end, and how and why human history has been shaped by divine intervention and decree. The Bible truthfully claims to be the historical account by an eyewitness of events in the past, which the experimental scientific method cannot reach. Therefore it is folly to build any model of the past that ignores the Biblical teaching of Creation about 6,000 years ago, the Fall and the resulting Curse, and the global Flood. Bacon’s stance paved the way, first, for old-Earth geologists to reject the Flood and Biblical chronology in Genesis 11.9 And then, for Darwin to undermine the Bible completely, since Darwin expressly applied the Baconian method to biology.10 He reasoned that if small changes accumulated over vast ages to produce geological features, then so also could small changes in livings things accumulate to produce new biological structures. Today’s ‘science’ and the Bible present two diametrically opposed views on how and when this world came into being, what is really happening in the world today, and what we can expect to see happen in the future. 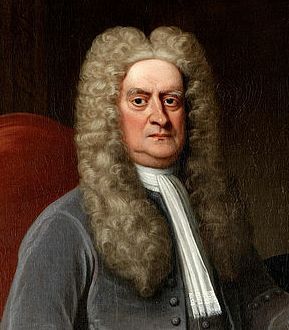 It is true that most of the founding fathers of modern scientific disciplines were Bible-believing creationists. But from the outset there has been a significant current within the scientific establishment which has despised Biblical revelation and set it aside. The Bible stands on its own authority because it is the Word of the Living God. It has met and passed every test that men or devils have ever devised against it, because it really is God’s Word and so is true from cover to cover. As we have repeatedly emphasized, and modern philosophers of science acknowledge, ‘facts’ never speak for themselves. If one starts with Biblical assumptions (presuppositions) in interpreting the facts, the evidence is seen to be strongly consistent with the Bible.11 However, starting with Bacon’s inconsistent and contradictory man-centered assumptions, one inevitably ends up with humanistic conclusions. The philosophical foundations for our modern scientific mindset were in place long before any so-called evidence against the Bible was ever put forward. The subsequent rise of Lyell, Darwin and many others, leading to today’s near-universal evolutionism as an explanation for all of reality, was the all-but-inevitable result—along with the associated moral and social decline. Seduced by Baconian notions of science, the church failed to grasp the vital matter of presuppositions in defending the faith. As a consequence, the Bible was attacked (and defended) within an arena in which the rules were slanted in advance by the replacement of Biblical presuppositions with Baconian (man-centred, humanistic) ones. As the apparent defeats mounted, the church often retreated into the comfort zone of pretending that origins was ‘not an issue’, or fell further into the Baconian trap by claiming that the Bible was ‘not about’ issues of science and history, but only about faith and morality. Our main focus is not a ‘young Earth’ or literal creation days as such, but the authority of the Bible. A recent creation in six normal-length days is something that follows from Biblical authority, not an end in itself. By driving a wedge between the study of the Bible and the study of the physical creation, Bacon, despite his own apparent belief in the Creation account, enabled his followers to reject it. The answer to evolutionary humanism, first and foremost, is a restoration of Biblical authority in the thinking of God’s people, the church. Special thanks to Paul Blackmore, whose essay on Bacon inspired, and provided much material for, this article. These he listed as idols of the tribe (universal intellectual faults), idols of the cave (intellectual peculiarities of individuals), idols of the marketplace (errors for which language is responsible), and idols of the theatre (mistaken systems of philosophy). See Encyclopædia Britannica 14:566–567, 1992. Return to text. Bacon, F., Novum Organum, Encyclopædia Britannica Inc., Chicago, 1952, p. 114, published in Great Books of the Western World, Hutchins, R.M., ed. in chief, No. 30, Francis Bacon. Return to text. In his 1607 book, Advancement of Learning, as well as Novum Organum, 1620. Return to text. Ref. 2, p. 107. Return to text. Bacon, F., Advancement of Learning, Encyclopædia Britannica Inc., Chicago, 1952, p. 27, published in Great Books of the Western World, Hutchins, R.M., ed. in chief, No. 30, Francis Bacon. Return to text. Ref. 5. p. 16. Return to text. Ref. 5, p. 17. Return to text. Mortenson, T., British Scriptural geologists in the first half of the nineteenth century: Part 1, J. 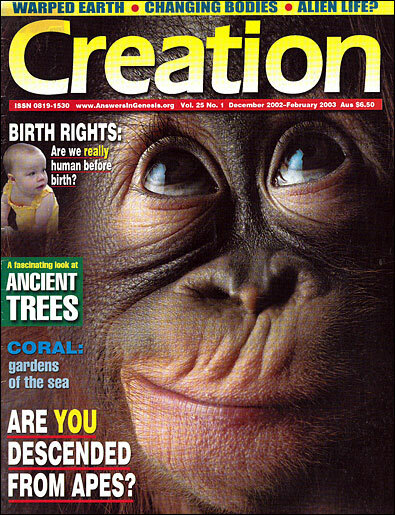 Creation 11(2):221–226, 1997. Return to text. 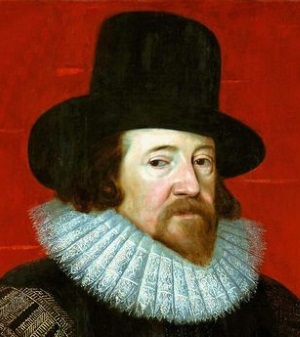 ‘Francis Bacon’, Encylopædia Britannica, 15th edition, 14:568, 1992. Return to text. That does not mean one will have all the answers, as human knowledge is finite and more is being added all the time. But the same is true for evolutionary science, and both evolutionists and creationists have to change their arguments (though not their conclusions) from time to time as more information comes in. Return to text.